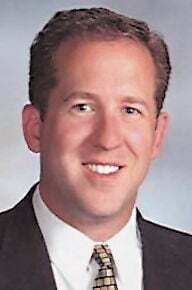 Rep. Smith represents Nebraska’s 3rd District. Frustration struck yet again last week as the House Budget Committee failed to pass a statutorily mandated budget resolution outlining their plan to spend the people’s money over the next year. Instead, it advanced a measure that would raise discretionary spending caps, illustrating that my colleagues across the aisle are not only unwilling to face the reality of runaway spending in Washington, but have also given themselves a blank slate on the matter. While a budget resolution may be used to establish procedures to facilitate the consideration of other legislation related to taxes and spending, its primary concrete effect is establishing the amounts to be spent by each of the 12 appropriations bills to fund federal agencies in the next fiscal year. Unfortunately, the same Budget Committee that is empowered to consider legislation to reduce the deficit through spending cuts has now passed a resolution as the first step toward again breaking the commitment to rein in spending which I joined my colleagues in making. In 2011, the Budget Control Act passed both houses of Congress with bipartisan majorities and was signed into law by President Obama with two goals: Making a down payment on reducing out-of-control federal spending, and creating a mechanism — sequestration — to enforce the bipartisan spending caps when Congress failed to do so. Under sequestration, if the spending across the 12 annual appropriations bills exceeds the amounts we agreed upon in 2011, the Treasury is empowered to impound a small portion of spending across most areas of the budget to ensure the previously agreed goals are met. Not only do I continue to support this commitment I made and supported in 2011, but I have consistently opposed any efforts to spend more than the levels set in 2011 which is not offset with corresponding spending cuts from other parts of the budget. In contrast, a large number of Democrats — most notably the Democrat majority leader just last week — have expressed regret for their support of the Budget Control Act as they work to undo their commitment and boost spending to new highs. It is appropriate to consider whether levels set by an agreement eight years ago continue to be appropriate today. However, the Democrat plan, which would increase discretionary spending by $51 billion in 2020, including $34 billion for domestic programs, is the first step in an effort to undo the promise of spending reductions made by the Budget Control Act. If this increase is enacted without a larger spending agreement, the overall increases would be sequestered back from across the budget by the end of next year. Unfortunately, the Budget Committee did not take the president’s budget seriously, nor did they produce a plan of their own to guide spending. They simply side-stepped a long-established responsibility to provide guidance for the upcoming fiscal year and signaled their desire to increase spending as they see fit.